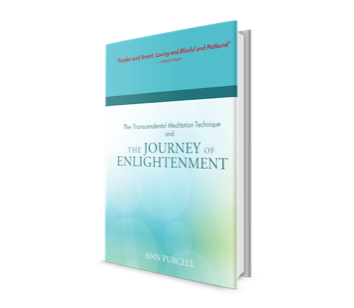 The Transcendental Meditation Technique and the Journey of Enlightenment by Ann Purcell. Available on Amazon.com. Yoga has become so mainstream today that it is even offered at my family’s tennis and beach club. Almost every time I tell someone I meditate almost inevitably their immediate response is, “ I practice yoga”! When I ask them about what type of yoga they do it is always some postures they practice and rarely does it involve any form of meditation. At the end of some yoga practices sometimes the class will have a couple minutes of a meditation silence. In ancient India, where yoga comes from, the understanding of yoga, which means union, meant the union of mind, intellect, emotions, and body, and union of the individual with the universal. It is a physical, mental, and spiritual discipline.